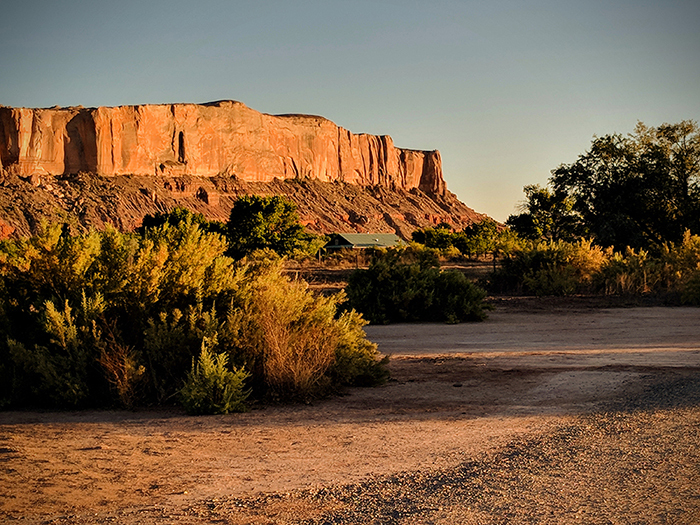 The Cottonwood RV Park sits on the edge in the small community of Bluff, Utah. 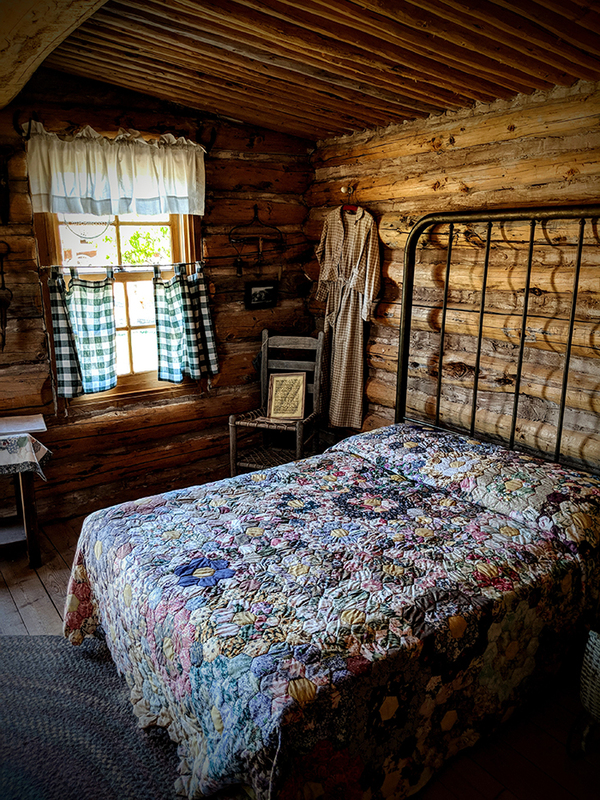 This quaint 12 acre park with 22 full hook-up spaces is rustic but well cared for. The location makes it easy to get in and out of including several extra large and wide pull-through sites. We were given a choice of sites and chose space C7 because it is flanked by two large trees on each side providing us with some relief from the summer sun. 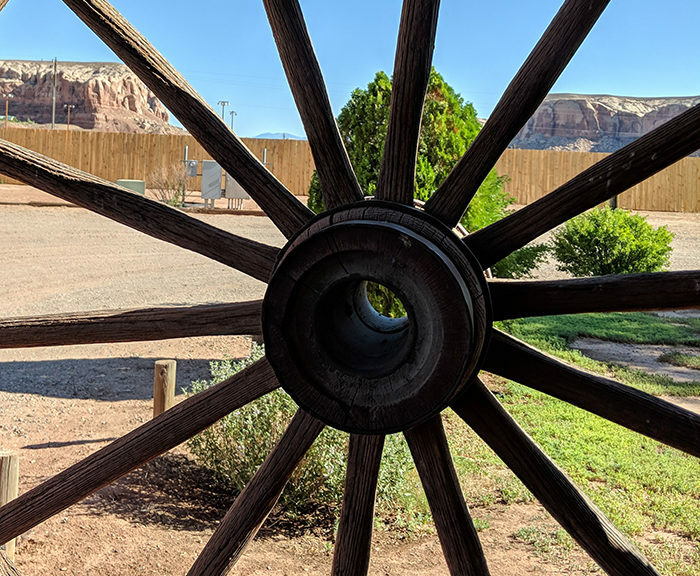 This charming park is nestled at the bottom of a colorful sandstone bluff that runs along the San Juan River, lush with trees. The beautiful landscape of southwestern Utah entices you to go on a photo shoot with your camera. Quiet nights are dark with an amazing star show in a clear sky. In the morning when you pull up the shades you feel as if you just woke up on the ranch. I have driven through Bluff about a dozen times in the past decade always noting its charm but never stopping. 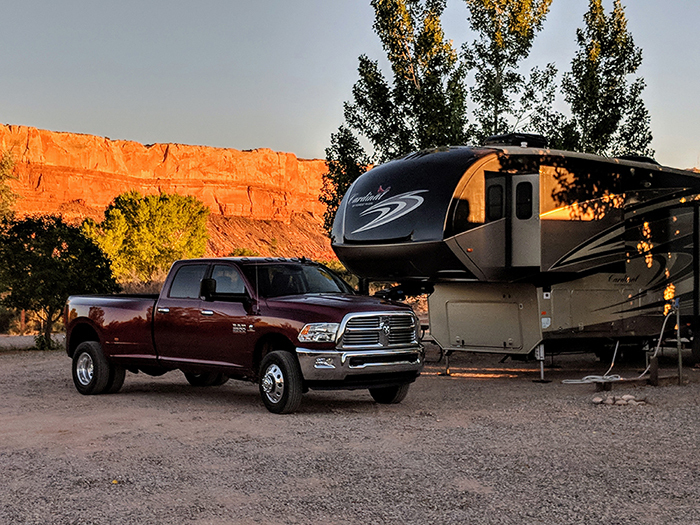 Last night we pulled into the Cottonwood RV Park and immediately settled into the peace and quiet of the small historic community. 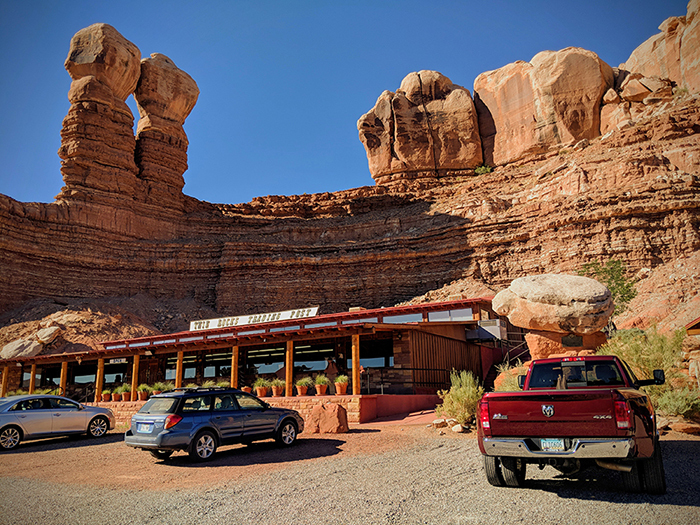 Our long drive up from Arizona was rewarded with a fabulous roast beef sandwich assembled on warm fry bread served up at the Twin Rocks Cafe. This meal was big enough to share. Before we continued on our road trip the next morning, we drove up the street to tour the free museum of Bluff Fort. 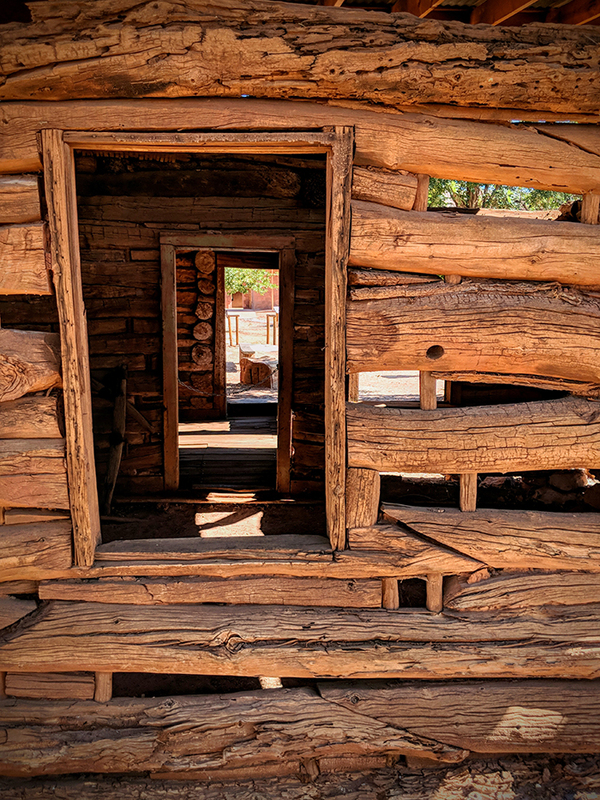 Our experience at the fort left an indelible impression of the Mormon pioneers that settled in Bluff in 1880. Their tenacity, bravery, and commitment have been well represented by the local residents who created a experience that immerses you into the past. Although our stay in Bluff was short, it enhanced our Ramble Dog experiences and has been logged as a place to visit again.